Whether you’re a brand new agent or a seasoned veteran, you’re ALWAYS looking for ways to boost your sales. We hear you. 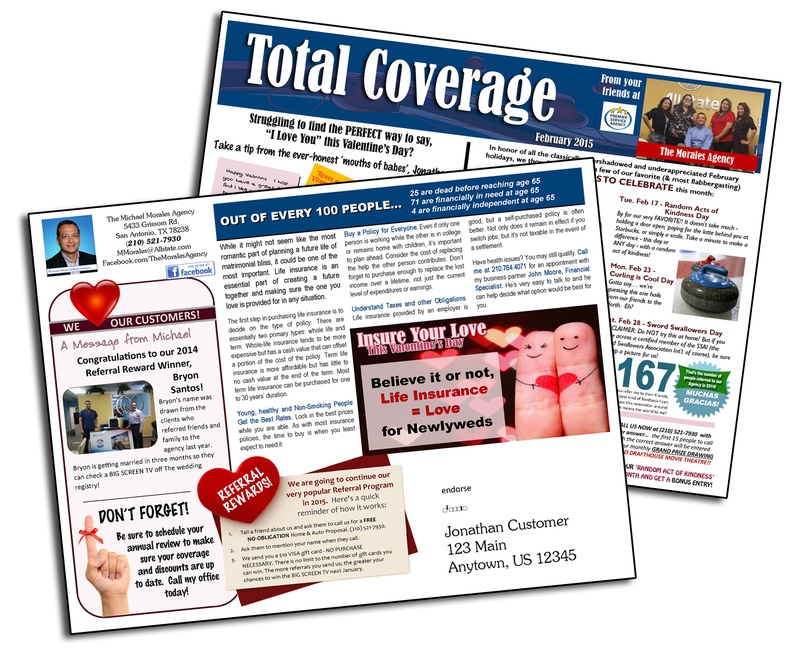 We’ve created an entire library of ‘Done-For-You’ direct mail campaigns specifically for the insurance industry. 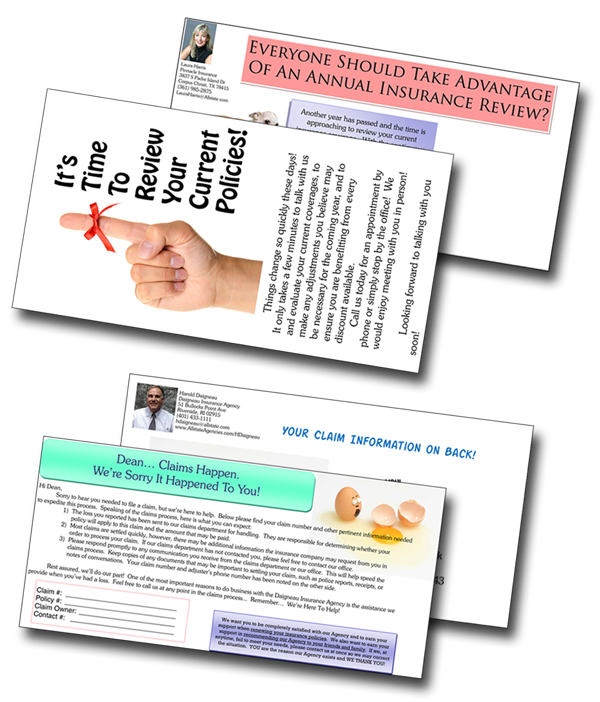 Take a look at our best sellers below – getting started is as easy as a phone call or a few clicks. Need something that you don’t see here? 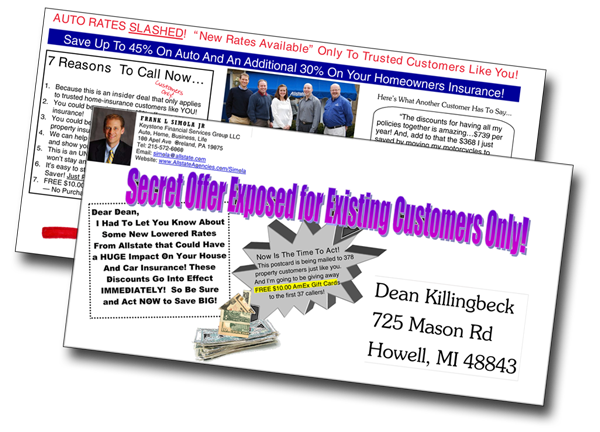 One call to the magic marketing elves (aka Shannon & Kathy), and we’ll make it happen! 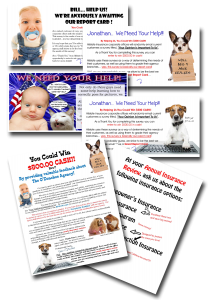 Our ACES Program touches your customers every month and reminds them how important this survey is to you. 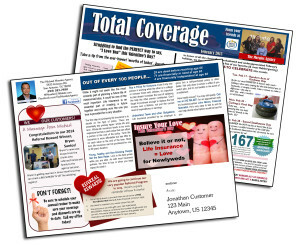 With 4 different quarterly postcards, email templates, voice broadcast scripts and flyers, we can help you cash in on the bonus you deserve. Click here to sign up today! 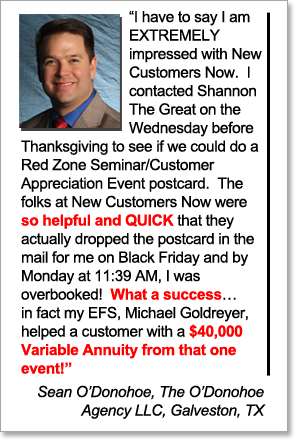 Scheduling a Red Zone or Annuity Client Appreciation Event? 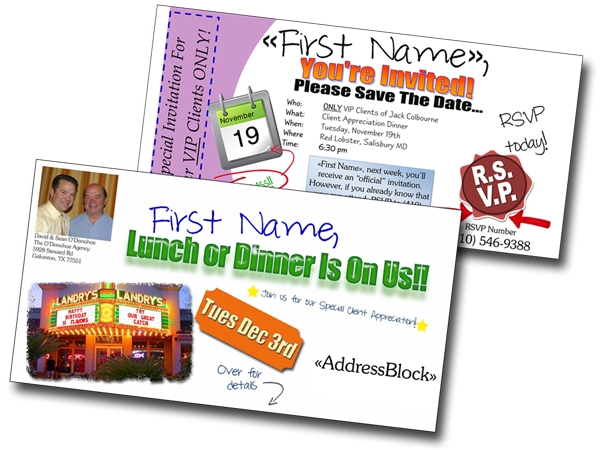 Just send us your client list and the details, and we’ll handle the rest. 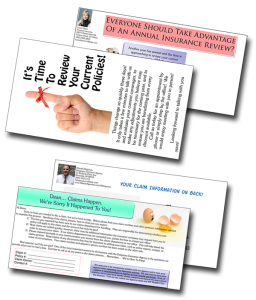 Use our Monoline postcard to entice your auto clients to purchase homeowners insurance, or the other way around! 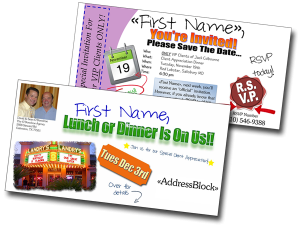 Customized with your agency photo & information and shipped to your office, you can send these ‘fill in the blank’ cards to your clients as needed.